Tru-Designer lets you create your own campaigns and execute them; a service unavailable with the most of digital software solutions in the market. 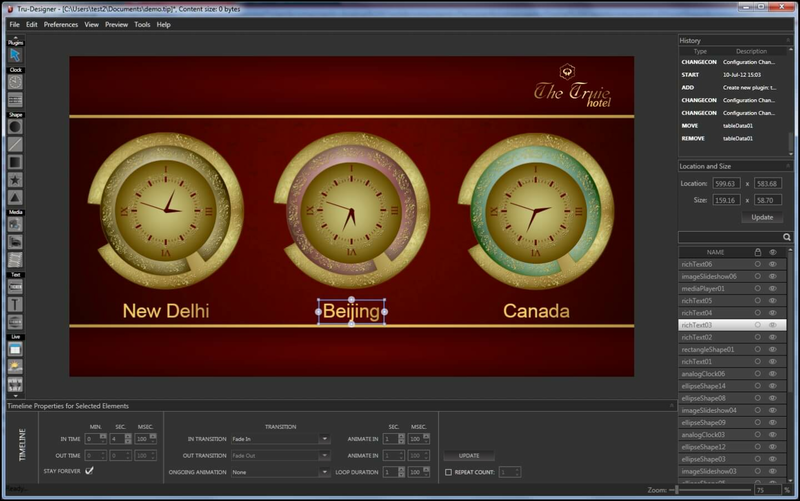 A part of the Tru-i Suite, Tru-Designer is one-of-a-kind digital signage content designer/composer, which makes designing any desired content (your own/third party, improvised/improved existing content) presentation in any resolution and orientation a breeze. Tru-Designer architecture empowers the user to create an exceptional, vibrant and dynamic experience for the audience. 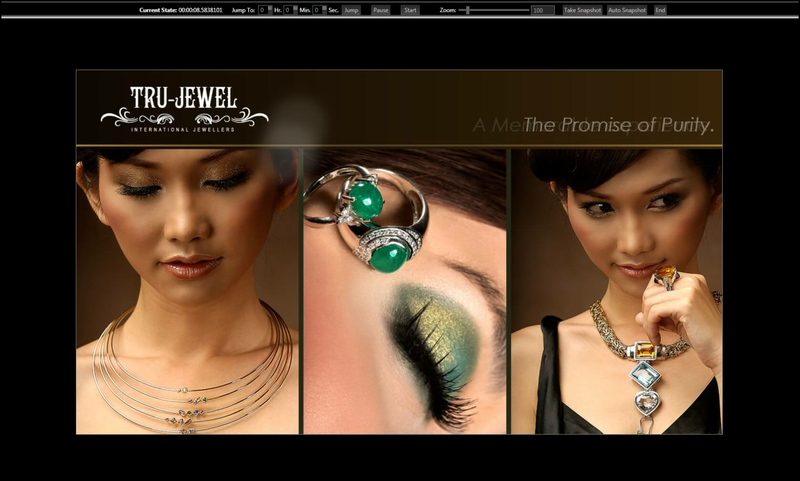 Tru-Designer's clean and intuitive interface lets your creative imagination materialize in extensive ways. It not only helps in saving time and cost, but allows you, the client, to take control of your campaign and unleash creativity on your own terms . 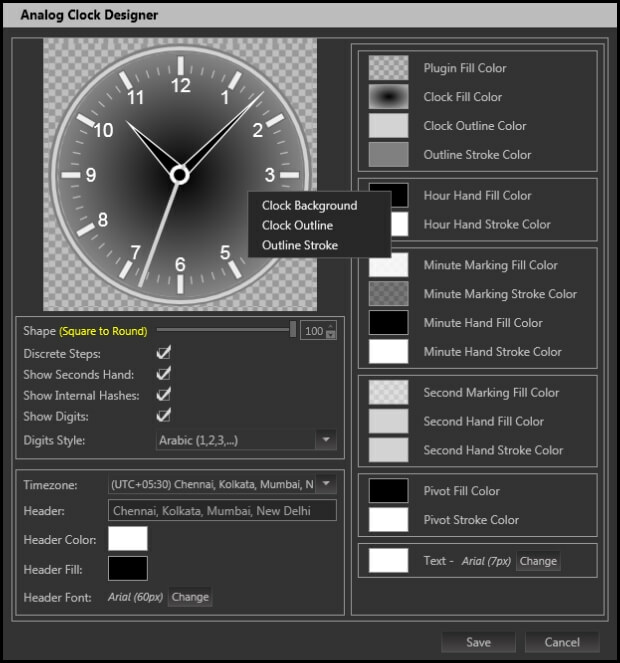 Tru-Designer provides scalable architecture which features a wide range of plug-ins like digital and analogue clock, external capture card and streaming, ticker support, RSS feeds, various databases, etc. Wide file formats lets you display videos, images and audio files in any resolution irrespective of the popular file extensions. This Designer is a plug-in based digital signage software where new features can be incorporated as client specific custom plug-ins. 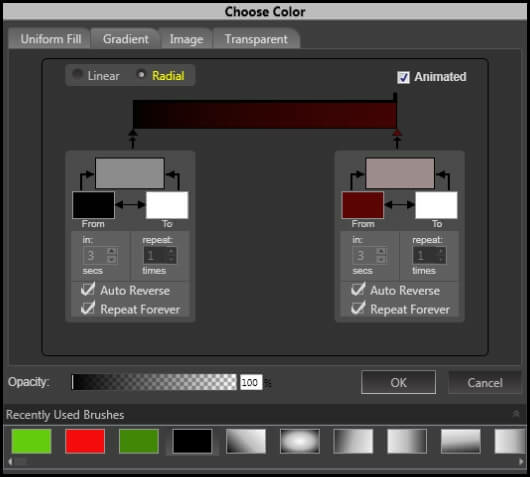 Its drag and drop type architecture adequately accelerates the design process and delivers real time output without pain staking rendering with an added preview option. What you see in the preview is what you will get on the player. External Video via Tuner/Capture Cards lets you display live TV, camera feeds, VGA, DVI, HDMI and other external inputs. 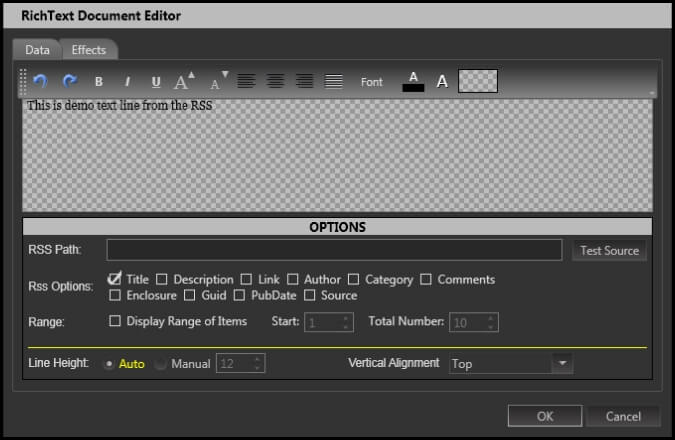 User Friendly GUI- Ease on user while designing content. Let’s you create your presentation using a simple drag and drop type architecture. Gets rid of file format confusion. Features extensive file format support and delivers flawless playback. Enables ‘on the fly’ content preview and direct playback. No rendering before preview.